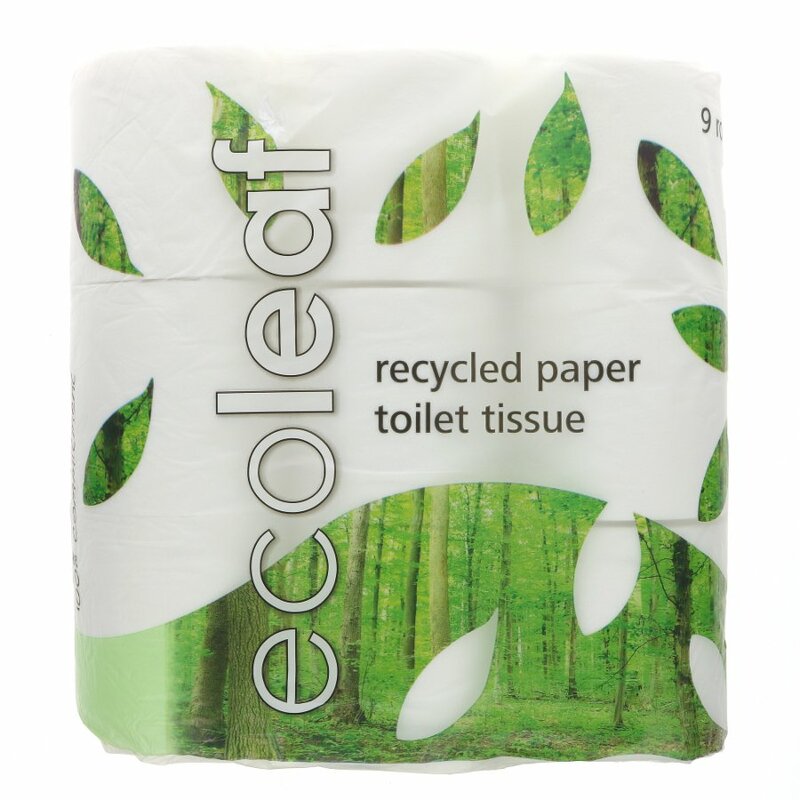 Made from 100% recycled paper, this soft toilet tissue from Ecoleaf is an eco-household essential. Free from dioxins, organochlorines, additional inks, dyes and residues. Bleach free. 9 rolls of 2 ply tissues. Packaging is 100% compostable. Approx. 240 sheets per roll. A bit thin and falls to bits too easily when wet (sorry, TMI), but at least it's made of recycled paper and wrapped in compostable wrapping. Was worried that this would be truly awful, but it's definitely going to be a regular purchase. Really pleased that it's not wrapped in plastic. Disappointing. The paper looks the same as the Traidcraft toilet tissue, but is significantly thinner, meaning you need to use more sheets. False economy - won't buy them again and will go direct to Traidcraft if NC aren't stocking theirs.